“Jugoya” appears in many old Japanese poems, novels and essays. 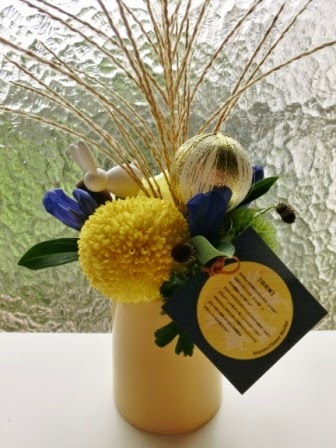 Common people loved “Jugoya” and displayed some rice dumplings, autumn grasses and flowers for the beautiful full moon. These traditions still remain. Japanese-style confectionery stores sell moon viewing rice dumplings and some florists Jugoya flower arrangements. Kids enjoy making the rice dumpling decorations, having them, and the moon tale as well as Tanabata, the Japanese star festival in July. The shape of those craters have made a lot of tales in the world. In some countries, it is a crab, for example. What stories about the craters have you heard of? How about in your country? ← Order Sushi A LA CARTE in Tokyo Tsukiji Fish Market!